A sad day for Lebanon. Mohamad Chatah, a former minister of finance (2008-2009) and a member of the March 14 coalition, was assassinated in a car bombing in Beirut. Let’s just say that the political status quo since April 2013 ends today. While it’s a fact that Chatah was an important M14 figure – and thus wasn’t exactly a fan of Hezbollah – that particular tweet still means a lot. Unlike other explosions where fingers were pointed at Syria or Hezbollah by other party members after the victim’s death, this time there’s some kind of a posthumous finger-pointing from the victim itself. True, the tweets of Chatah (you can reach them here) targeted Syria and Hezbollah almost on a daily basis, but the last tweet’s timing remains huge . It speaks of taking power, controlling security, pressure, Hezbollah, and Syria, less than an hour before the blast. It can’t get any worse for M8. Today’s blast wasn’t very far from the location of the Hariri 2005 explosion site. This is also one of the most secure places in Beirut and Lebanon. That, is a clear message: No one is safe, no place is safe. The assassination happened 20 days before the Hariri trial (Special Tribunal for Lebanon) was about to begin. Chatah was an aide to Hariri, and there were reports that he might have been a witness. The location of the blast as well as the person targeted (It could’ve been anyone that’s in mainstream M14 but not in Hariri’s inner circle) show that this is not only a political message but rather a judicial one too; an alarm for all the witnesses that they can be and will be harmed should they speak. After all, Wissam Al-Hassan’s death makes a bit more sense doesn’t it? Like Chatah, he was not only a regular M14 affiliated man. He was in Hariri’s inner circle too. Mohamad Chatah’s assassination will have a huge impact on the status quo. Chatah was by far one of the most moderate politicians representing the city of Tripoli. It’s a double loss for the city since sectarian tensions will now again rise between Jabal Mohsen and Bab Al-Tabbaneh. I won’t get into the speculations of who did it, and why he did it. Millions of theories are out there. The first one is that the Syrian regime (and its allies?) killed him to send a message. The second is that it might be an inside job since it would be a major political blow to the March 8 movement. The third is that it’s actually a double conspiracy theory, with the Syrian regime doing it in order for the people to think that it’s an inside job since they have no interest in losing political power in the aftermath of the explosion. And it goes on (triple, quadruple conspiracy theories…). There’s another scenario where a third-party wants to drag Lebanon into a dark, cold era of civil war and sectarian strife for personal gains. And last but not least, there’s the Takfiri-Israeli secret alliance that will destroy the Arab world. Yes, the previous paragraph was sarcastic. And of course, some of the theories are more probable than others. This is what the news would be all about for a while. Who killed him, and why. Accusations and propaganda. But the truth is, we will probably never know. Our intelligence agencies are so efficient that the ISF intelligence (Information bureau) and the army intelligence were fighting on the explosion scene instead of figuring things out. But again, I won’t get into the speculations of who did it, and why it was done. That’s the job of the judicial authorities and concerned police departments. What I want to speak of here is the Future, what happens next: What change of strategy will M14 adopt now that it is under direct, apparent threat. Will M14 see a casus belli and ask Tammam Salam form a unilateral government? Will Jumblatt agree to this? What will be the decision of the witnesses of the STL Hariri trial? How will Hezbollah respond? What would be the impact on the governmental negotiations? on the presidential elections? on the electoral law? on the parliament’s extended term? The political statements are now marked by confusion. 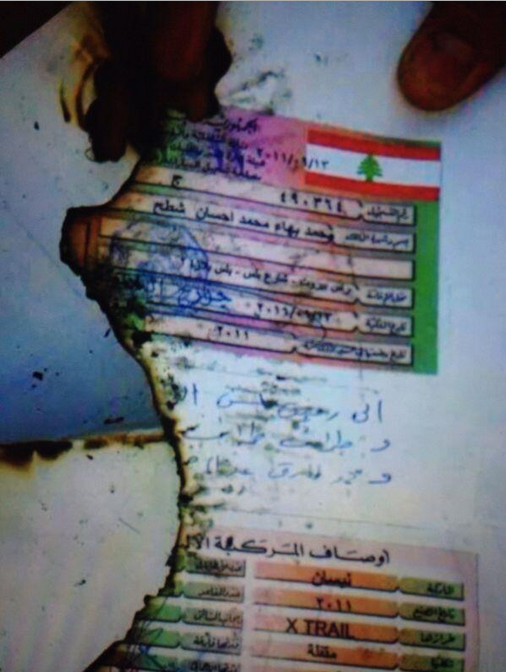 Hariri already accused Hezbollah of the blast. My guess is that M8 will accuse Israel. Sectarianism, Syria and conspiracies are all over the news. It will take few days to get clearer. New stances might emerge, and after all, this is the perfect moment for anyone to change sides. The same way Wissam Al-Hassan’s assassination paved the way for the events of early 2013, this is what will define the rules of the game in 2014. My condolences to the families of the victims. Hopefully one day Lebanon will cease to be the region’s mailbox.